Continuing my thoughts from last week, I decided to write more about the comparison of food to the arts. In last week's blog, I compared food to the visual arts. This week, I would like to take the connection of food to the arts one step further and liken it to the performing arts. During a visit to New Orleans, Louisiana, we decided to dine at Emeril's Restaurant located in the heart of the downtown warehouse district. The only seats available on this particular night were at a bar facing into the kitchen. 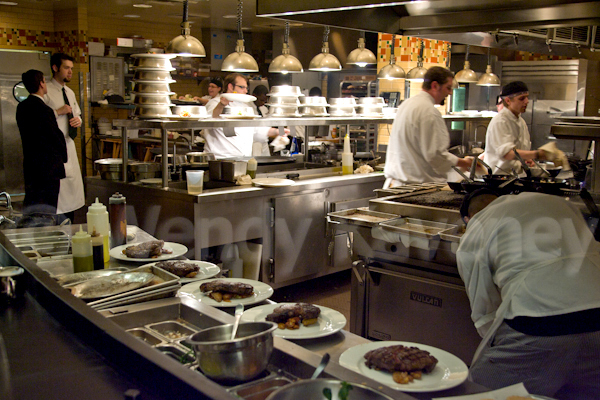 Every person (performer) in the kitchen (stage) had a definite job (role) to perform and did so in a flurry of activity and in perfect synchronization. 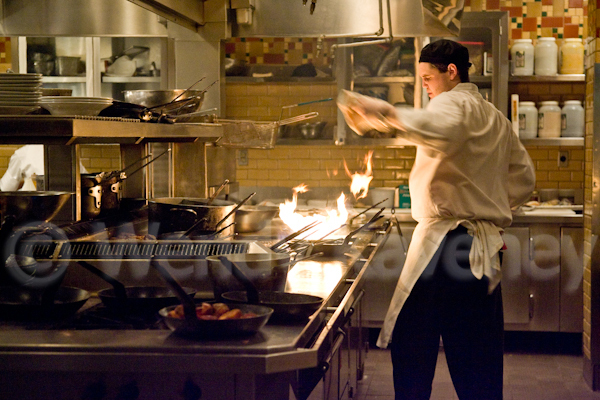 The process and timing of the food preparation and cooperation of the kitchen staff (the performance) was like watching a well orchestrated and well choreographed ballet! 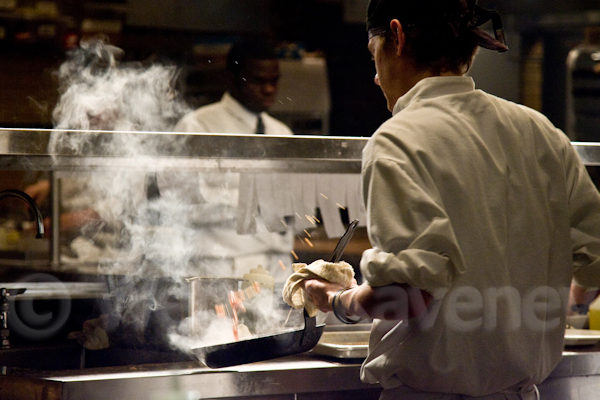 Of course, I had my camera with me and throughout my meal, I photographed the food preparation show in front of me. It was a lot of fun trying to capture the bustle of activity. I have included some of the resulting images from the evening that I think captured the essence of the experience.